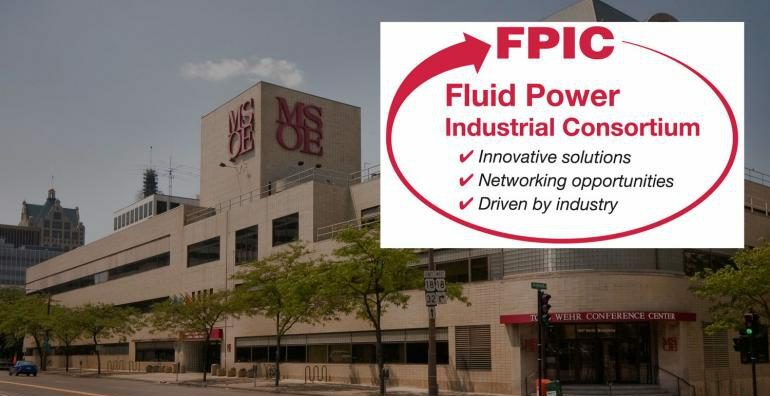 As a means of supporting its industrial partners, the Fluid Power Institute (FPI) at Milwaukee School of Engineering (MSOE) established the Fluid Power Industrial Consortium (FPIC). FPIC is composed of OEMs, component manufacturers, SMEs, distributors and other organizations involved with the fluid power industry. Companies can get involved with the consortium by attending the quarterly seminars or making a presentation on their advanced technologies. The program will be held at the InterContinental Hotel in downtown Milwaukee, December 7th. For more information see FPIC website.